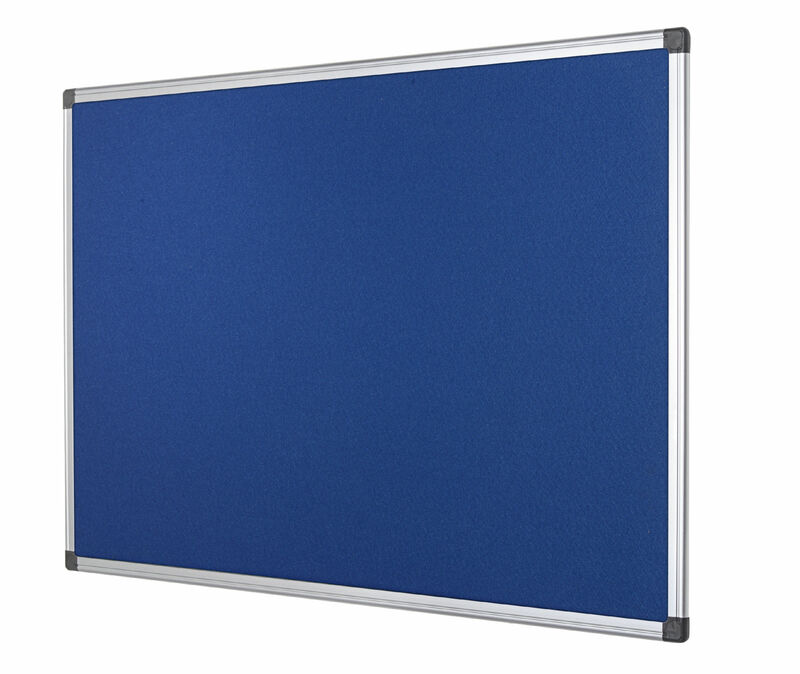 Great for displaying information and notices, or for presenting and brainstorming, this Bi-Office noticeboard has a smooth blue felt surface for use with push pins. 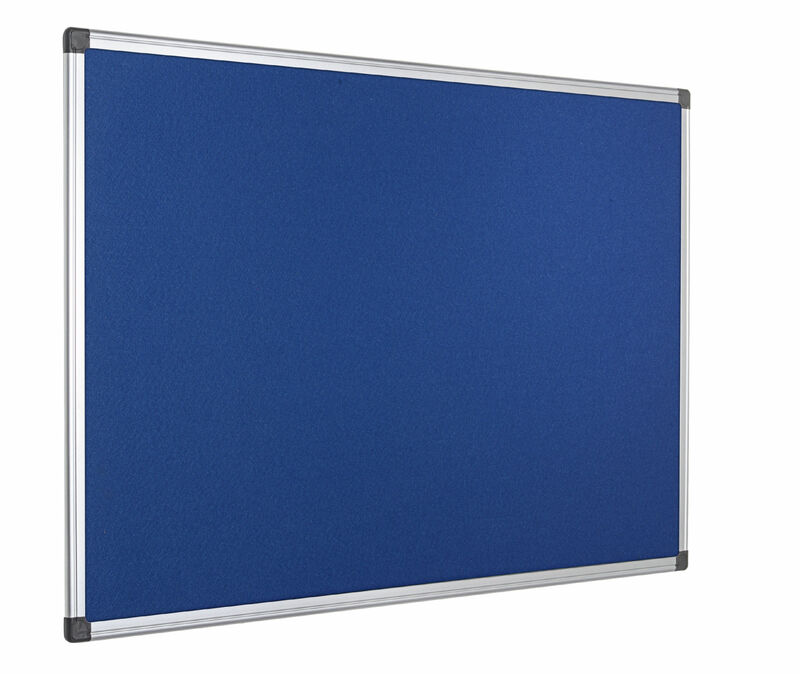 The board features an anodised aluminium frame with plastic corners to conceal the wall fixings. 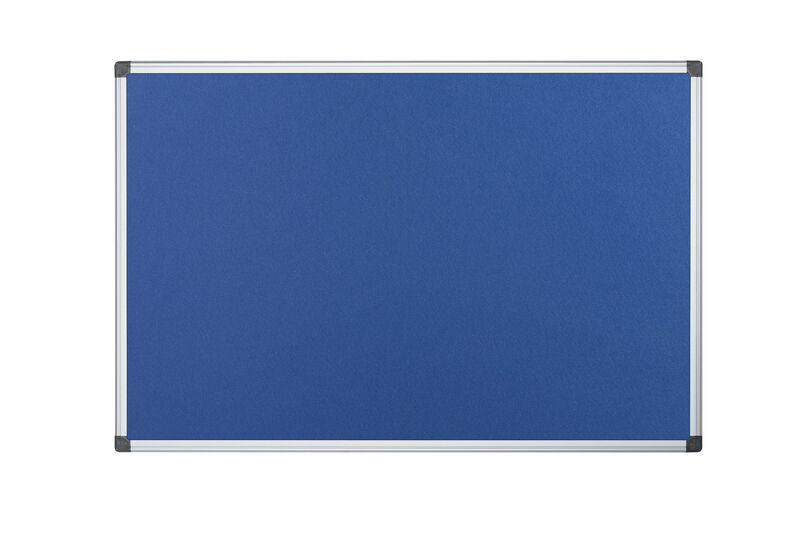 This board measures W1200 x H900mm and comes supplied with a wall fixing kit.